David is responsible for bringing our solution to our Financial Services clients as well as Finance Professionals. As he is convinced that financial institutions and financial professionals can really benefit from a more data driven way of working with the use of SynerScope. He has long time senior management experience in the Insurance industry where he was responsible for Finance, Big Data Analytics and Innovation. David has a background in Economics and holds an Executive Master in Finance and Control (Dutch: RC). In the last year of being responsible for finance within Insurance, David was frustrated with the fact that the finance numbers didn’t provide any context and therefore could not be used to answer the real important questions about corporate performance or reporting. The knowledge gained when he was responsible for advanced data analytics and innovation, gave him the inspiration about how this could be used for financial institutions as well as finance departments. He than decided to spend part of his time developing a solution which could also be used for financials. That’s where the cooperation with SynerScope started and the solution is now part of the ‘Augmented Finance’ proposition. 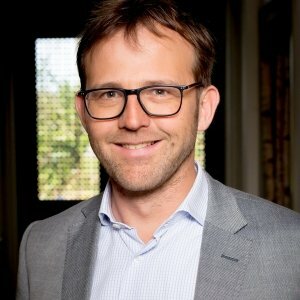 David also teaches on the Tilburg Institute for Advanced Studies (‘TIAS’) on data driven transformations for financials and is a regular speaker on various events and training courses for financials. The augmentation of the financial numbers, the speed of gaining insights (in more than just numbers) and the easy adoption rate of people working with our solution is what he really loves about SynerScope.